Own the trail with this exclusive top that combines the easy fold-back top feature of a TrailView Soft Top™ with the gear-protecting coverage of a durable, snug-fit tonneau cover that gives your Wrangler a truck look! Rampage™ extends the Rock Rage bumper category with a new winch-ready front bumper for the JK and JKU. 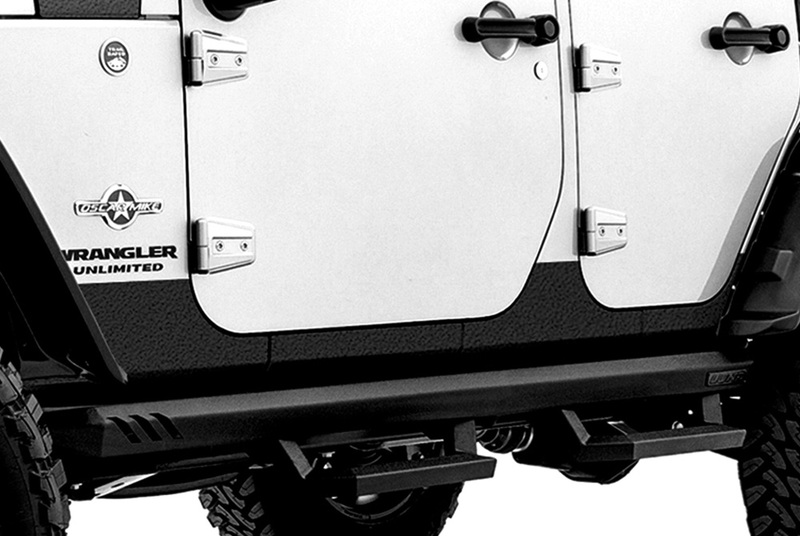 Designed with hard lines and raised angled ends for better articulation and superior off-road clearance. The Rock Rage is a great looking trail-ready upgrade to factory bumpers. Back up camera for use with iOS and Android devices. Copyright © 2014 Rampage Products. All rights reserved.